Thank you for your recent letter. I enjoy receiveping letters from enthusiastic students like yourself. I hope you are enjoying school and doing well in your classes. Make sure to be a part of school activities. Many of life’s most important life lessons are learned through team sports. Football taught me the importance of setting goals and working hard to reach them. This is something that I have carried with me and that I use on a day-to-day basis. Setting goals for yourself is to the most important component for success. Whatever future path you pursue, getting the most out of your education is the most important thing. While you are still in school, it is important to gain practical experience in the field that you would like to pursue after you graduate. Also, earning a graduate degree in your future area of interest is a good thing to think about. We are looking forward to a very exciting 2018 football season, and will carry on the pursuit of excellence in making the Dallas Cowboys the best team in the league. Our coaches, players, and staff appreciate your support more than you know. Thank you for being such a dedicated Cowboys fan! 1) What is it like being the owner of the Cowboys? At least for now, this is truly the best one I’ve gotten yet! 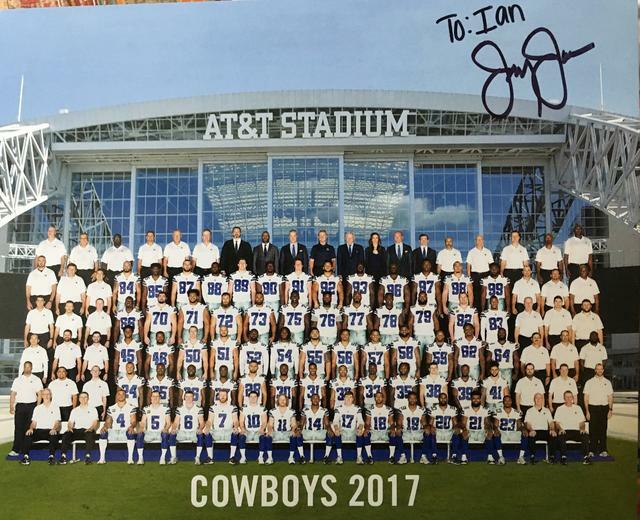 Oh, I forgot to mention that he also personalized the team photo. 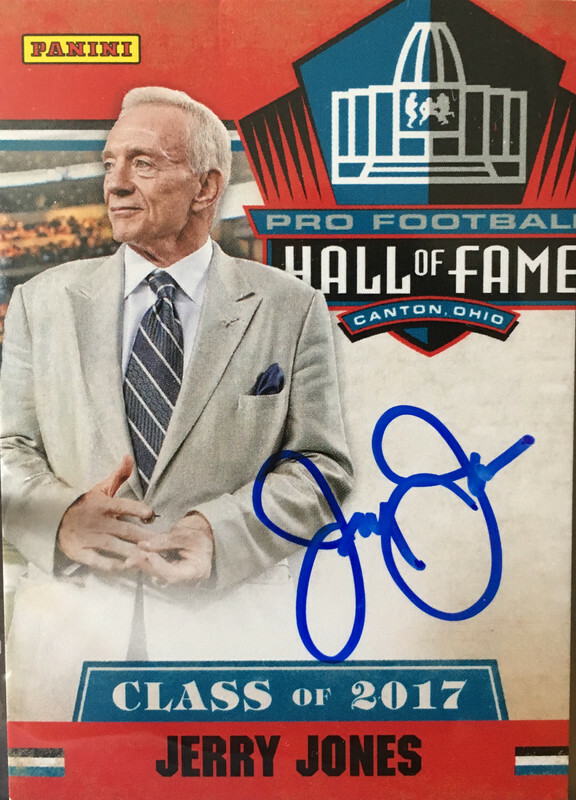 Here are pictures of the HOF Card and Team photo. I can’t put a photo of the letter because he put my address on it.